At Northland Collision, we believe that your car repair experience extends beyond the work we perform on your vehicle. That’s why we offer a range of additional services at no extra charge to help reduce the stress of collision repair, including complimentary loaner vehicles, (if your insurance policy doesn’t include a loaner vehicle) free estimates and claims negotiation. We are happy to arrange towing as well. With 30 years in the Lakeville, Minn., community, (Rosemount mailing address) we take pride in our strong reputation that has been built on integrity, exceptional customer service and top-notch repair services. We continue to invest in our customers by equipping our shop with the latest technology and requiring ongoing training for our technicians. Our goal is to exceed the standards of top quality paint and repair work, while improving the collision repair industry. We strive to get you back on the road as quickly as possible through fast turnaround times and free rental loaner cars. However, for those times when you need to wait, our lobby offers a warm, relaxing and friendly environment. 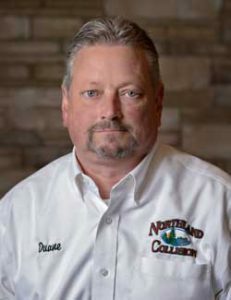 Let Northland Collision take the stress out of collision repair.